A year after an audio recording of University of California Regent Norman Pattiz sexually harassing a podcast host surfaced, the 74-year-old has announced his retirement, effective February. 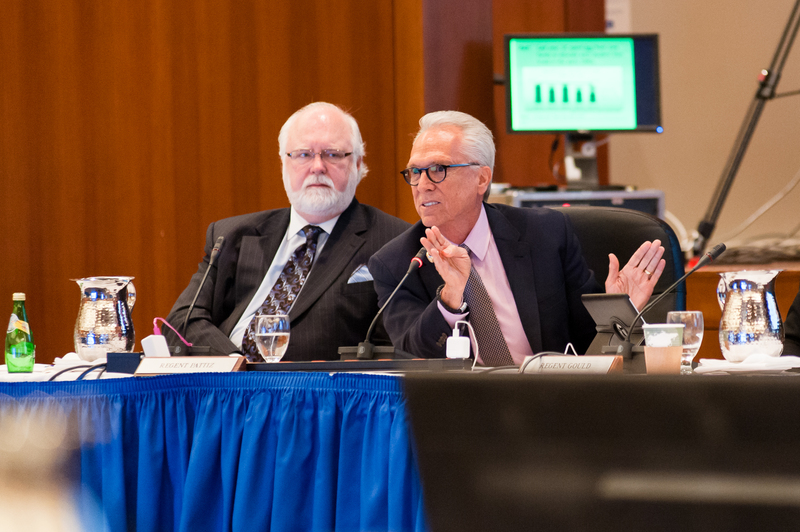 In documents obtained by the San Francisco Chronicle, Board of Regents Chairman George Kieffer on Thursday accepted Pattiz’s resignation, which does not mention the allegations against him. In recent weeks, student and state leaders have called on Pattiz to step down, citing additional allegations of sexual misconduct in his capacity as the chairman of Westwood One and PodcastOne. Pattiz, who splits his time between Santa Barbara and Beverly Hills, confirmed that he was the one speaking on the audio recording. Another former employee alleged that Pattiz had brandished a firearm at him, which he has since denied. It is now up to Gov. Jerry Brown to appoint a new regent to fill Pattiz’s seat.